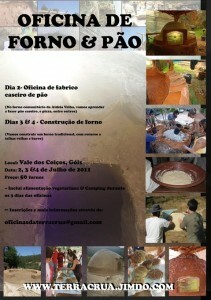 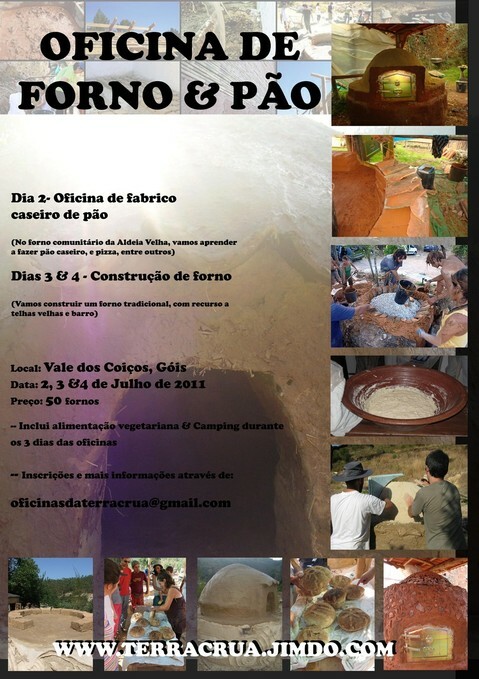 Oficinas da TerraCrua (literal translation = Workshops of Raw Earth) is a local organisation offering workshops in a range of sustainable building techniques such as Adobe, cob, cordwood and straw bale. 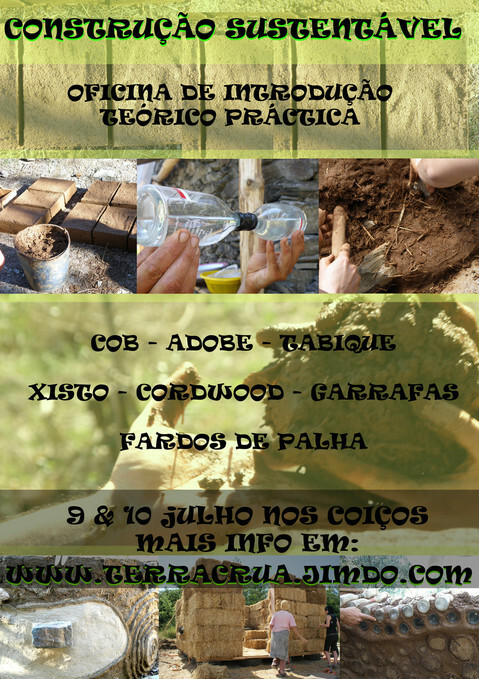 Nuno taught the New Build session on our recent Permaculture Design Course, which everyone seemed to thoroughly enjoy. 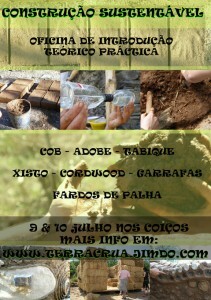 Although workshops are taught in Portuguese, Nuno speaks excellent English.